Spring Move-Out is scheduled for Saturday, May 4, 2019, by 5:00 p.m. There are no exceptions. ATTENTION: The Fall 2019 housing application for returning students has closed. It was available from February 4, 2019, until March 15, 2019. The Fall 2019 housing application for new and transfer students will be available beginning March 18, 2019, until June 30, 2019. All new students (first-time freshmen and first-time transfers) must pay a $100 non-refundable housing application fee before your application is processed. All returning students, including readmits, must pay a $75 room reservation fee before your application is processed. The Fall housing application for New and Transfer Students will open on March 18, 2019, at 9:00 a.m. The Returning Student housing application closed on Friday, March 15, 2019, at 5:00 p.m.
All students must check out for the Spring semester on Saturday, May 4, 2019, by 5:00 p.m. There are no exceptions. 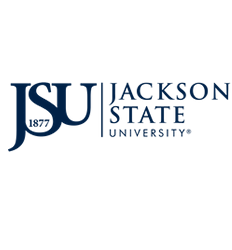 JSU Move-In Day 2019 for all new and transfer students is August 10, 2019. All housing inquiries should be sent to: housinginfo@jsums.edu. The $100 non-refundable housing application processing fee for New/Transfer students must be paid before a room assignment will be issued. The $75 non-refundable room reservation fee for Returning students must be paid before a room assignment will be issued. Upper-class students will be housed in the following: Transitional (Females), Alexander East/West (Females/Males), Campbell College North (Males), Campbell College South (Females) and University Pointe (Females/Males). Please report to the designated hall found in your JSU P.A.W.S account. Freshman females will be housed in McAllister-Whiteside and Transitional Hall. Freshman males will be housed in Dixon Hall. If you wish to cancel your housing assignment, you may do so by e-mailing housinginfo@jsums.edu with the following statement: "I (insert first name, last name, and J Number) wish to cancel my housing for the Fall 2019/Spring 2020 academic year". All cancellation requests must be in writing. Offers are made on a space-available basis. Please check your JSU email frequently for important housing information. *To avoid login issues, please activate your NetId in your JSU PAWS account before attempting to log into "THD: JSU Housing Self-Service." 1. Visit your JSU PAWS account and select "Enter Secure Area." 2. Enter your J# (ex. J00000000) and Pin #, which is defaulted as your birthdate (ex. 010118). 3. Select the "Student" tab at the top of the page. Then, select the "Housing" link. 4. After selecting the "Housing" link, you will select, "THD: JSU Housing Self-Service." where you will need to enter your login information. 7. You will be directed to your own personal Student Housing Portal. Once there, you will select "Apps & Forms,"
then select the housing application for your classification and proper term. 8. You will be directed to agree to the "Terms and Conditions" by signing your name and clicking "Continue." 9. After clicking "Continue," you will proceed to answer all questions. application fee or $75 room reservation fee. this time. Please note that your housing application will not be processed without receiving payment. If you need assistance in completing your application, please contact us at 601-979-2326. Please note that housing accommodations for the Fall 2019 semester are issued on a first come, first serve basis. Once the Assignments process begins, your room assignments will be updated in your THD Student Housing Portal. *Subject to change based on IHL Approval.